The past couple of years have seen a number of changes to the Johnnie Walker line, most notably the release of Johnnie Walker Double Black, and the discontinuation of both Johnnie Walker Green Label and Johnnie Walker Gold Label (an 18 year old blend). One of the major reasons for this big shift is a severe shortage in availability of older malt whiskies. Whisky as a category has seen explosive growth over the last few years, much stronger than any of the whisky producers expected. This high demand has taken its toll specifically with stocks of older whiskies and dramatically with malts eighteen years and up. With Johnnie Walker Gold Label sunsetting (it’s been replaced globally by Johnnie Walker Gold Label Reserve without an age statement and removed from US markets), the door opened for Diageo to bring out a new 18 year old product, Johnnie Walker Platinum Label, at a higher price point ($110). 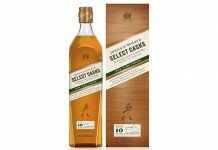 The move is a little bit of a sleight of hand, with the elimination of a popular expression of Johnnie Walker in the US, a reformulation of the Gold Label brand outside of the US, and a $30 increase in price for an 18 year old offering. Why didn’t Diageo just raise the price of Johnnie Walker Gold? Our best guess is that they wanted to take advantage of the velocity of having a new product in a market that’s fixated on innovation and new things, while at the same time letting a reformulated Gold Label find some traction globally before re-introducing it in the US as a new mid-level price point for their premium offerings. 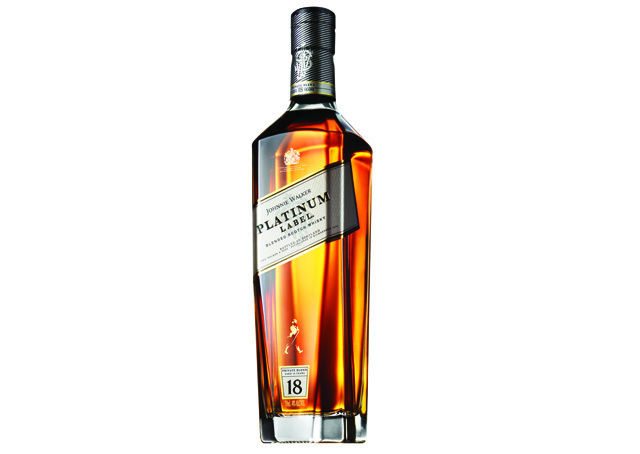 The big question is, how does Johnnie Walker Platinum Label 18 Year compare to the outgoing Johnnie Walker Gold Label 18 year? The answer is pretty simple: they are dramatically different blends of whisky. Johnnie Walker Gold Label is considerably rounder, sweeter, and a lot less spicy and smokey than Johnnie Walker Platinum Label. Johnnie Walker Gold Label is very much an expression of Cardhu and Clynelish while Johnnie Walker Platinum has a lot more Caol Ila (whose 18 year old malt vanished from the marketplace earlier in the year). Both Johnnie Walker Gold and Platinum Label are clearly Johnnie Walker, but they are very different in their flavors and flavor delivery. Johnnie Walker Platinum Label Blended Scotch Whisky (40% ABV / 80 proof, $110) is amber in color with a nose that is a nice mix of raisin, sherry, ginger, oak, light peat smoke, and apricot. There’s also a subtle citrusy floral note that’s faintly in the mix. A couple of drops of water helps open up the nose, which is a little more subdued without it, and also really amps up the apricot. The entry is fairly soft and lightly sweet with light honey, apricot, sherry, and raisin. The mouthfeel in the entry is a lot thinner, drier, and less lush than the Gold Label. The flavors transition in the midpalate from slightly sweet to spicy as oak, strong ginger, and peat begin to emerge. Towards the end of the midpalate the Platinum Label intensifies in its smokiness and spice. It’s here where the grain whisky really shows itself, much more pronounced than it was in the Gold Label. 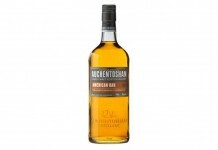 This grain whisky is partly responsible for the finish, which is quite dry and spicy with a light smoky peat. One of the things we really enjoy about a good malt whiskey is the taste of the malt, but here some of the complexity, richness, and depth of malt flavor are absent, taken over by the spice and heat of the grain whisky. There’s no question that there are a couple spectacular malts hiding in this blend – we get a sense of them in flashes digging through the nose and at the start of the midpalate – but ultimately they are squandered on a blend that overtakes them, rather than showcasing them. Priced at $110, Johnnie Walker Platinum will surely re-ignite the fierce debate between premium blended whisky versus single malt whisky. While Gold Label could make the claim that it delivered a malt-like experience in a softer, sweeter, gentler way, Platinum is anything but soft. Also, when you consider that Highland Park 18, one of the definitive single malts in the world, is only $20-30 more, and the phenomenal Highland Park 12 is $50 LESS, you have to ask yourself if a $100+ blended malt is really worth it. Johnnie Walker Master Blender Jim Beverage is typically much better at delivering balance and flavor than what he does here, making us think that his toolkit was highly restrained by the shortage of good malt. Ultimately, the value proposition of Johnnie Walker Platinum is pretty thin. Johnnie Walker Black and Double Black Label are both wonderful stepping stones into the world of whisky, offering an affordable and less aggressive option for the casual imbiber, but it’s hard to see Johnnie Walker Platinum as any form of stepping stone. Diageo has done a superb job with some of their image-based premium offerings like Ketel One and Ciroc Vodka, and Johnnie Walker Platinum Label fits neatly within that strategy. For many Platinum drinkers, the fact that they could be getting better bang for their buck with younger single malts won’t matter. Be sure to watch our Virtual Tasting of Johnnie Walker Platinum for more thoughts on this major release.